Jonesville, located in south central Michigan's Hillsdale County just 20 miles north of the border where Michigan, Ohio and Indiana meet, is a thriving community just minutes north of the distinguished Hillsdale College and twenty-two miles west of the Michigan International Speedway. Education has been important in Jonesville since its founding in 1828. The first "Free School" in Michigan was in Jonesville, and the longest continuously operated primary school building in Michigan is currently being used as Jonesville Middle School. The St. Joe River flows north through town and is the centerpiece for Jonesville's annual Riverfest celebration in May. 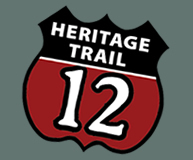 It provides a challenging canoe racing ourse for people of all ages and abilities. Many historic buildings have been preserved in town, including two that have been turned into upscale bed and breakfasts. 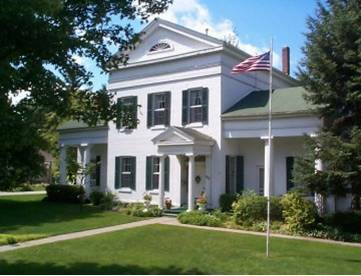 The Munro House B&B, built in 1834, is the oldest house in Hillsdale County. The Greek revival mansion was once a station on the Underground Railroad. Railroad buffs might want spend the night at Rooms at Grayfield - a wonderful transformation of the local train station. Other examples of architectural preservation include Grace Episcopal Church and the Grosvenor House Museum - a stunning example of Italianate Irregular architecture. Try Olivia's Chop House - Jonesville's new fine dining restaurant or its family-style sister restaurant, Saucy Dog's Barbeque. Check out a production by Hillsdale Community Theatre, now in its 39th season, at historic Sauk Theatre. The original theater was constructed in 1904 and hosted many of the leading touring productions of the day. By the late 1920s, films had replaced traveling troupes as the village's favorite form of entertainment. Fires in 1932 and 1979 destroyed much of the original structure, but the site has been rebuilt and lovingly maintained ever since.